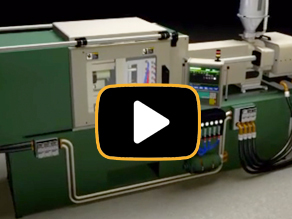 Paulson’s fully interactive training program explains the relationship between machine controls, plastic behavior and molded part properties in full motion video, text, audio and graphic animation. Course Description: In this next level, dive deeper into the scientific approach to injection molding and the importance of understanding the effects of each machine control on the four primary injection molding variables—heat, pressure, flow and cooling, and how these variables affect part properties. This molding course assumes the student understands the effects of each machine control on the molding machine and on the plastic. In this course, we utilize SkillBuilder™, our hands-on molding machine simulator, for the first 3 lessons. In SkillBuilder™, molding machine setups are pre-set on the control screen with various problems. The molder must adjust the machine controls and cycle the machine to solve the part defects that occur. It is highly recommended that anyone taking this course have processing molding experience on machines or have completed Paulson’s The Technology of Injection Molding – Level 1 or the Paulson Plastics Academy ProMolder™ 1 seminar. The last lesson in this course is a SimTech™ virtual molding lesson, users will have the opportunity to solve Molding Challenges with Paulson’s advanced molding machine simulator SimTech™ (exclusive to Paulson). Students will be presented with a molding problem which they will need to solve and achieve the best cycle time. Who will be the best molder in your plant? SimTech™—the world’s most advanced injection molding simulator. 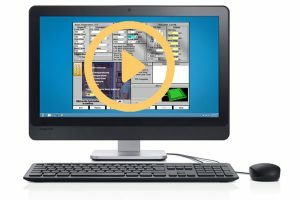 In this lesson, students will log into Paulson’s proprietary and exclusive molding machine simulation tool SimTech™ to apply everything they have learned up to this point. You will adjust machine controls for setup, solve problems as they occur, and minimize cycle time. This lesson bridges the gap between understanding molding as a scientific technology and applying that knowledge on the production floor. Best of all, your employees will learn how to mold parts without wasting valuable machine time and material costs! SimTech™ will revolutionize the way you train your employees. View more about SimTech™ here!